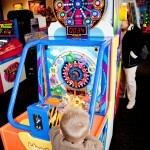 Home » Entertainment » Chuck E. Cheese’s Review and GIVEAWAY!! Chuck E. Cheese’s Review and GIVEAWAY!! 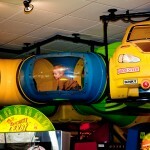 Recently, my family and I were blessed with the opportunity to visit our local Chuck E. Cheese’s. We had a BLAST! As soon as we walked through the doors, we each received a stamp, providing extra security for our children. 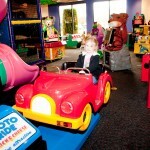 I absolutely love that Chuck E. Cheese’s cares about the safety of our kids!! My son and daughter (5 and 3) had begun squealing with delight as soon as we pulled into the parking lot, and were SO excited to be there. I loved watching their eyes dart from game to game…taking in all of the rides…seeing the animatronic musical show….they were enchanted, and ready to play! My husband and I were delighted with the great service and the atmosphere. 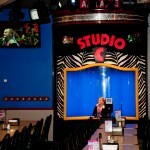 We went on a Monday morning, and were able to play and experience the restaurant in a very quiet and enjoyable way. We put in our order for pizza, and started to play!! 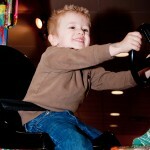 Henry LOVED all of the fun rides that are available for kids at Chuck E. Cheese’s! There are things that kids of every age will enjoy! (And things moms and dads will like too!) My husband and I had several “friendly competitions” over skeeball, basketball, and foosball! This fun little car ride even takes a picture of you, and gives you a fun souvenir to take home and remember your special day! And as with ALL of the Chuck E. Cheese’s games and rides, this attraction was just one token! What a deal!! SO many fun things to choose from!! Hannah had fun challenging both of us to foosball as well! I loved how our experience at Chuck E. Cheese brought us together…We were all PLAYing together, and really enjoying each other’s company. 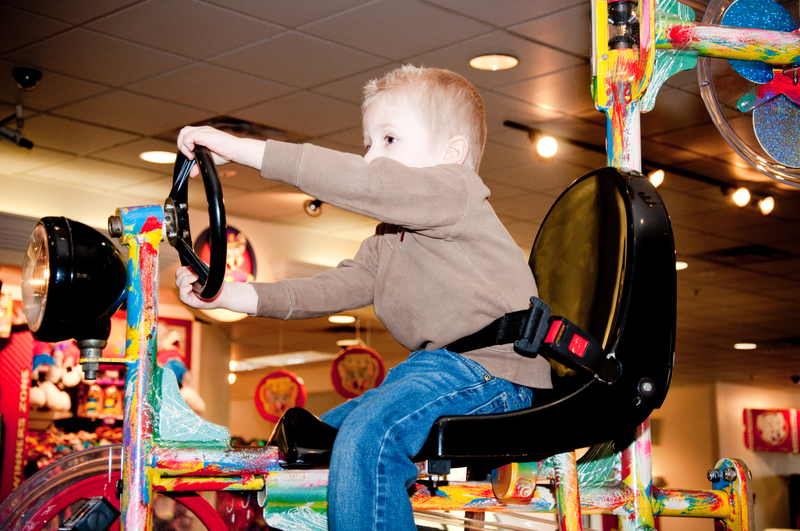 At home, it is easy to do your own thing, and stay in separate parts of the house…At Chuck E. Cheese’s, we were able to really come together and enjoy an experience. It was the perfect place to spend a family day. Our local Chuck E. Cheese’s has updated the “ball pit” that was present when I was a child for a fun climbing/sliding experience! 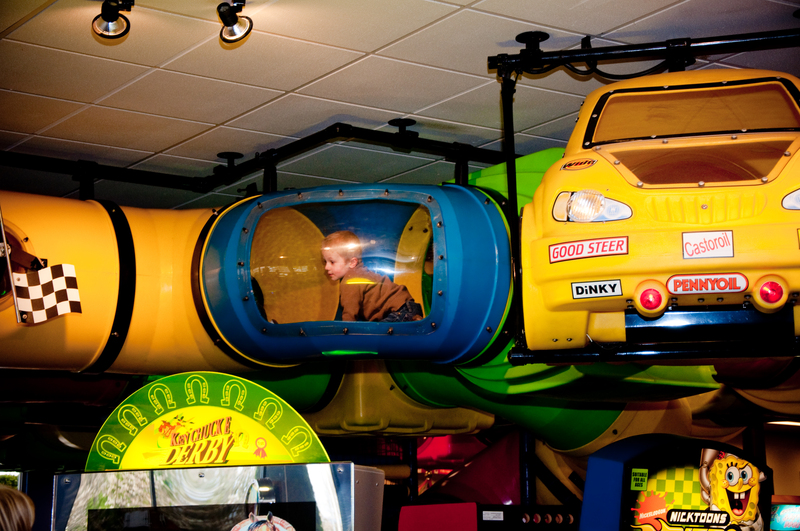 Kids can climb up the play structure and explore tunnels, windows, and even a suspended race car, as they crawl above the restaurant and games! 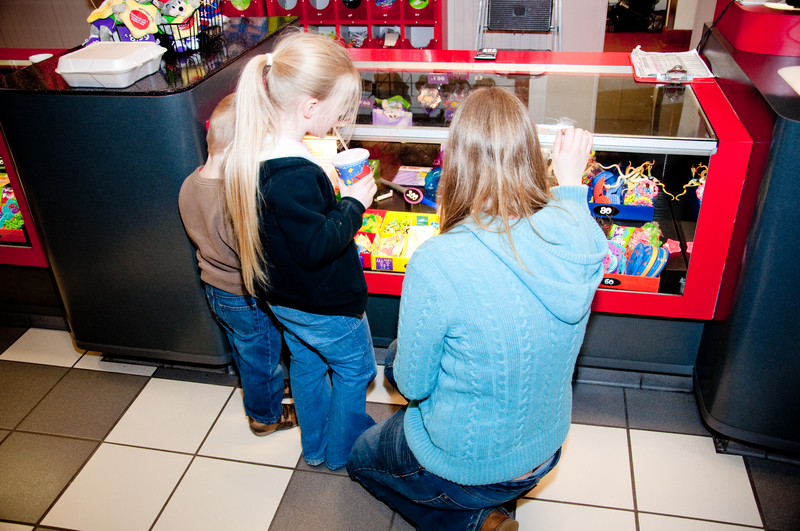 Parents can sit and relax at one of the many tables (enjoying refillable fountain drinks!) while their children play, knowing that because of the safety measures, their child won’t be allowed to leave the building without them! My daughter absolutely LOVED dancing up front! 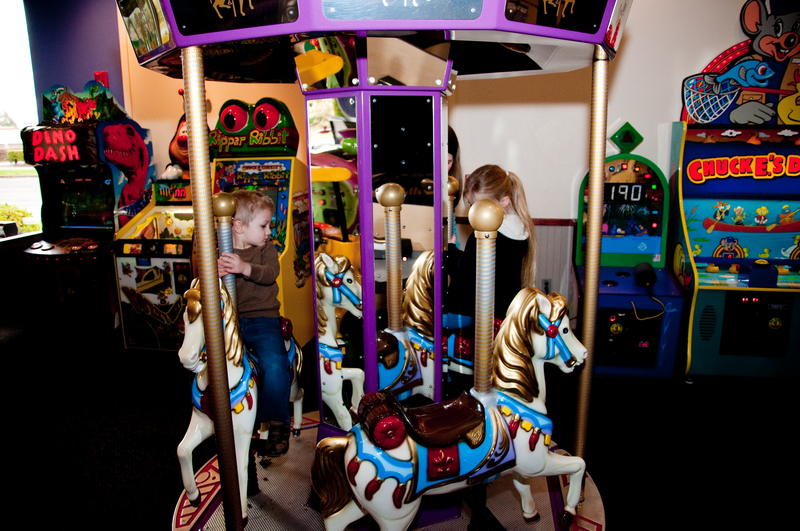 Our Chuck E. Cheese’s features a fun “green screen” type attraction, that allows your child to dance in front of a screen, and then be broadcast on the T.V.’s in the restaurant! She got a real kick out of seeing herself on tv! She loved dancing to the kid-friendly music, and felt like a star! 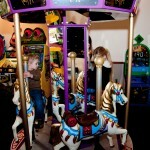 My kids loved the animatronic show put on by Chuck E. Cheese’s! Every time Chuck E. would talk, they would yell out,”He smiled at me! !” or “He is talking to me! !” It was a cute show full of music and comedy, aimed right for kids. I loved that the kids had something to hold their attention during our lunch (of really tasty pizza!). They actually wanted to sit and eat for awhile, as they were enjoying the show so much. After lunch, they were ready for more fun! Spending their tickets was really fun for the kids (and teaches some great math and budgeting skills!) They carefully selected their items, and were excited with their choices. Chuck E. Cheese’s is really affordable too!! 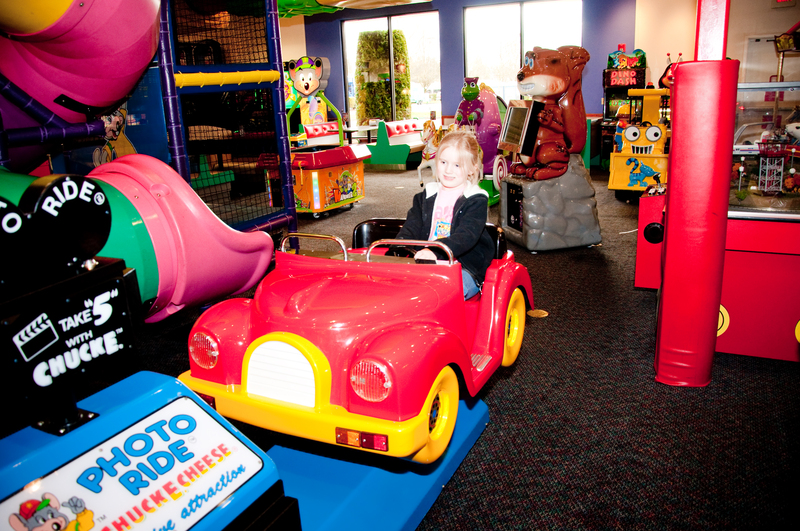 Right now, Chuck E. Cheese’s is offering families a special $20 Yum and Fun Deal! For just $20, you receive a large 1 topping pizza, and 50 tokens! 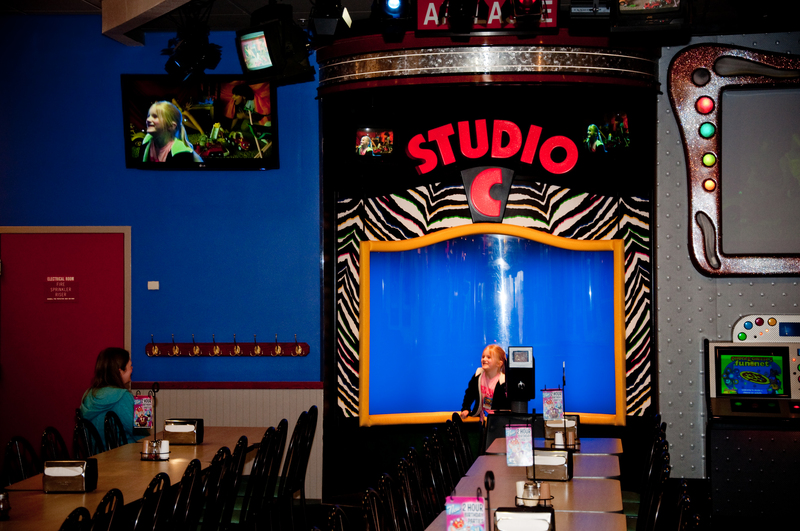 Lunch and a whole day’s worth of fun for the whole family for just $20 is an amazing deal!! 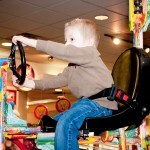 Chuck E. Cheese’s also has several other great deals going on right now! Click HERE to see all of their special coupons! You can also sign up on their website to be part of the Email Club, where your child will receive tokens on their birthday, exclusive deals, and fun rewards and printables! Click HERE to sign up now!! 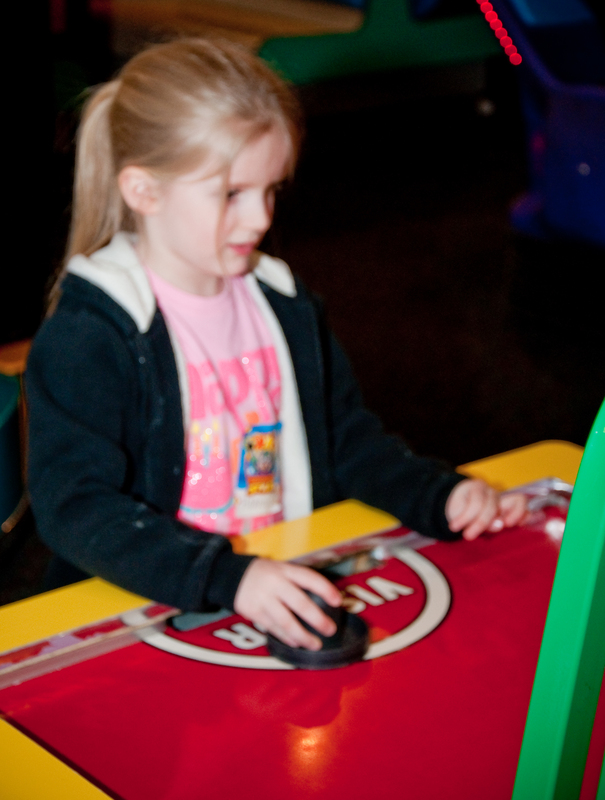 You can also find a really fun version of online Skeeball on the Chuck E. Cheese’s website, where your child can earn printable tickets (up to 40!) that they can redeem at participating locations! I am SO excited to be able to partner with Chuck E. Cheese’s to give THREE lucky Chasing Supermom readers the chance to WIN a special GUEST PASS to Chuck E. Cheese’s!!! Each pass includes: 1 Large Pizza, 4 Soft Drinks, and 30 Game Tokens!!!! What a fun family day you will have with this guest pass!! Three winners will be chosen at random on June 5th (My birthday!!) at 10 pm PST. Contest is open to residents 18+ in USA and Canada. You can find this contest listed at http://www.online-sweepstakes.com Good luck!! 1. 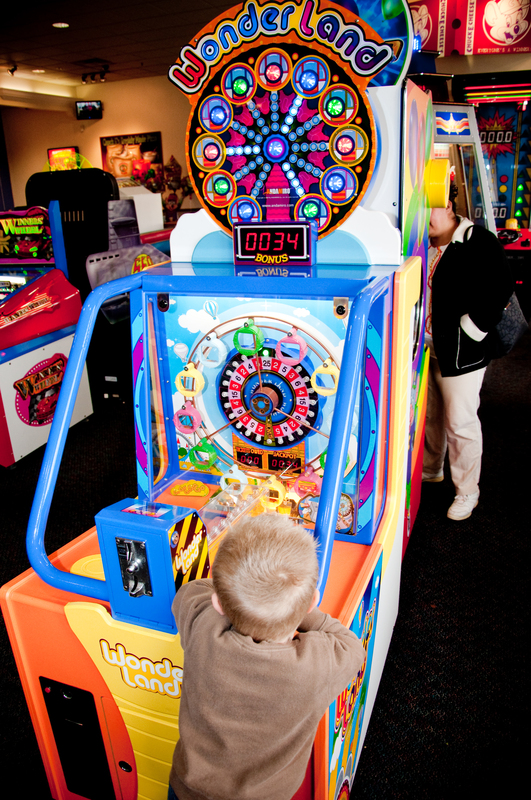 Share your favorite Chuck E. Cheese’s memory! 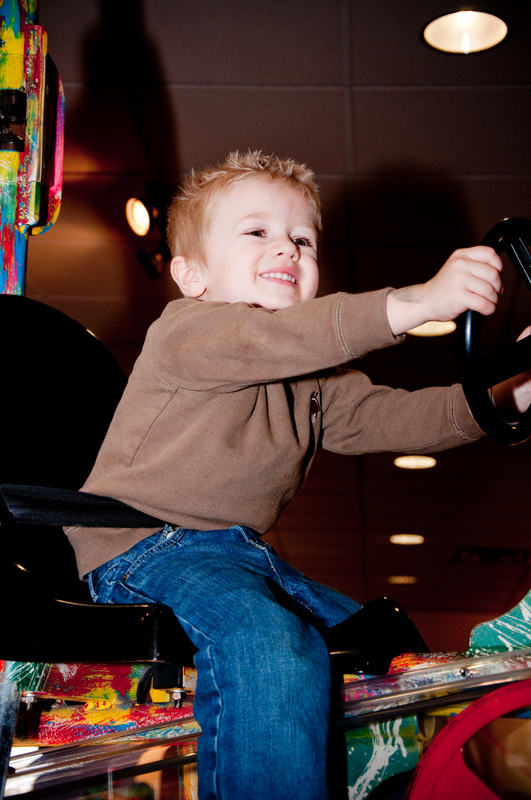 Leave a comment with one of your favorite memories from Chuck E. Cheese! If you’ve never been, what are you looking forward to? 1. “Like” Chasing Supermom on Facebook and help me reach my goal of 1000 likes by June 5th! (My birthday!) Leave a comment letting me know you “like” me! 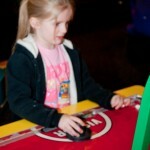 2.“Like” Chuck E. Cheese’s on Facebook and stay updated about all of their latest product offerings and specials! Leave a comment letting me know you “liked” them! 3. Follow Chasing Supermom on Twitter! liked you fb and Happy Birthday! The very first time we ever went was my favorite. My daughter was about 5, and my son about 2. It was just so magical of a place and my children were enthralled with the whole experience. I Follow Chasing Supermom on Twitter! I don’t really have one specific memory about chuck e. cheese but I do remember going there often when I was young for birthday parties and always loving it! My favorite memory is from March. It was the first time we took our kids and my 5 year old daughter hit the jackpot on one of the token machines. her face was priceless and her dad and I were so proud. Thanks for a great giveaway! As kids my sister was deathly afraid of Chuck E Cheese or rather the person dressed up in the costume. Once while we were eating there, she saw him, ran under the table to hide and knocked me over onto the floor. I love playing their skeeball.